If you’re visiting Fenway Park for the first time, there are definitely some things you should know about arguably America’s most treasured baseball venue. 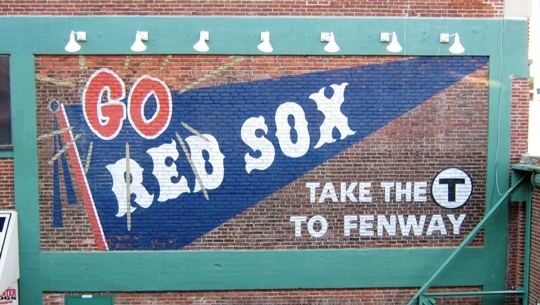 Fenway Park is a wonderful experience when done right, but it is definitely not for amateurs. It works on Game Nights, too. 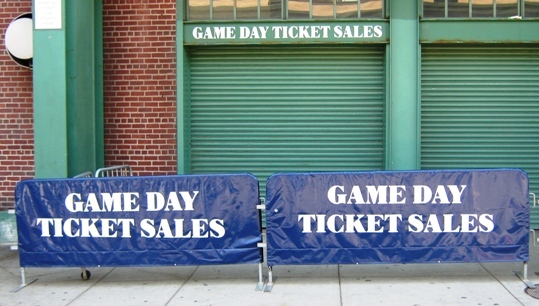 Visiting Fenway Park, Tip #1: Choose the right tickets outlet. For high demand games like the Yankees or July weekends, it’s probably best to plan ahead and get them through the Red Sox website if you can. The secondary markup will almost always be higher. For weekday or April games you can try SeatGeek, and there are always the Game Day tickets line and scalp-free zone (more about that in this post). 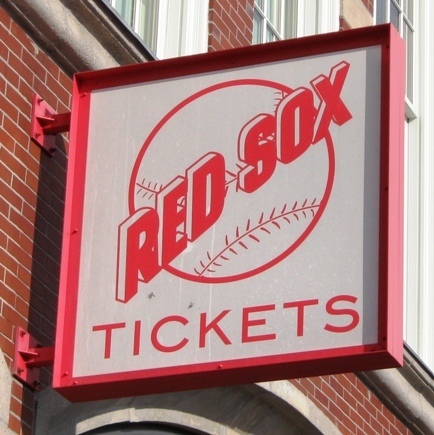 Red Sox tickets are such a hot commodity that there are multiple outlets to get them, just try to pay face price for high demand games (which are most of them). An intimate setting where every fan is your close friend! 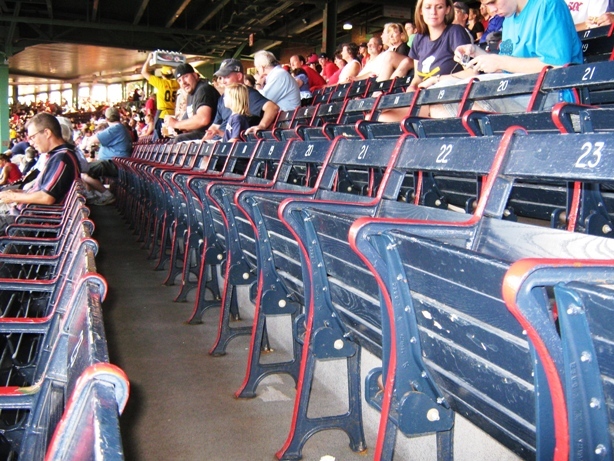 Visiting Fenway Park, Tip #2: The Grandstand is a great deal. That is, so long as you don’t mind a small seat and you know how to avoid those blasted obstructed views. There are some simple rules to follow that will…most of the time…ensure that you have a view of the field that isn’t annoyingly obstructed, but you can also use the excellent Precise Seating website to make sure the seat you’re about to get is okay. Grandstand seats are among the cheapest in Fenway and have much better views than the bleachers. Plus they’re in the shade, which the bleachers are not. No, not the L. The T.
The MBTA Green line “T” drops riders off at Kenmore Station a short walk to the ballpark, and you’ll pass ACE Tickets and “brokers” hawking tickets along the way. Similarly the Commuter Rail Yawkey Station is just 500 feet from the ballpark. It’s almost always easier and cheaper to use the MBTA. Try this and you will know what Inner Beauty really is. Visiting Fenway Park, Tip #4: Try the Sausage Connection. There are less-expensive-than-inside sausage vendors around the entire outside of the ballpark, but they are most prominent on Lansdowne Street. They’re all good, but they all offer different types of hot sauces, and the Sausage Connection offers a mustard style sauce called “Inner Beauty”. Go easy with it, it’s hot…but it’s also great if you’re into that. They have steak tips and chicken teriyaki sandwiches there as well. The Fenway Frank is also a classic, but try to do both. Visiting Fenway Park, Tip #5: Make a day of this. The pre- and post-game atmosphere at Fenway Park is like no other in baseball. 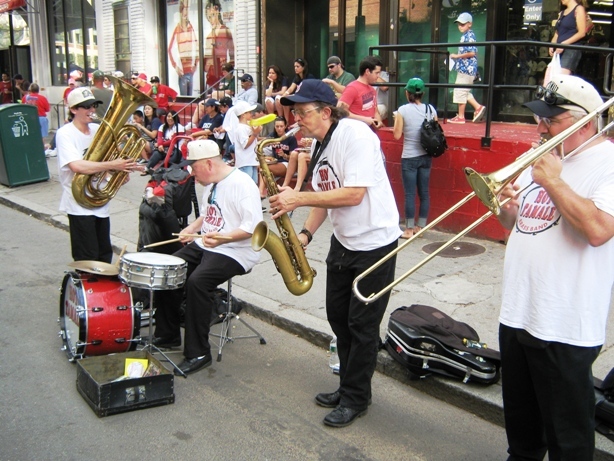 The crowds gather on Jersey Street long before the game for live music, El Tiante Cuban sandwiches and Big League Brian on his stilts. There are also numerous restaurants and taverns to celebrate a Red Sox victory. Cask-N-Flagon is the classic, but Boston Beer Works, Game On! (Ping pong tables! ), and Jillian’s are very popular too. Pick from a watering hole in the Kenmore Square area…there is something for everyone…and spend some time after the game letting the “T” crowds thin out.